Player information and summary text has been obtained from GoDucks.com the official web site for Oregon Football. Depth positions are taken from Game Notes, media and internet reports primarily from the blog by Rob Moseley, Editor, GoDucks.com. INJURY MARKINGS ARE SPECULATIVE. Oregon does not report or discuss player injuries. 2017 — Leads team with nine pass breakups on the year ... Tied career high with three pass breakups against Nebraska ... Accounted for two tackles against NU ... Made five tackles against Southern Utah ... Also recorded two pass breakups ... Recorded five tackles, including one tackle for loss, at Arizona State ... Also recorded two pass breakups against the Sun Devils ... Made four tackles, including second career sack, at Wyoming ... logged one pass breakup against the Cowboys ... Recorded one tackle and one pass breakup against Cal. 2016 — Became one of Oregon's top defensive leaders over the season ... Started at cornerback in nine games but saw action in all twelve throughout the season ... Recorded 39 tackles, 29 of those being unassisted, 3.5 tackles for loss for 7 yards ... Team-high twelve pass break-ups, putting him in the career top 10 at Oregon ... Stood out against USC for his pass breakups ... Had one fumble return against Nebraska to gain 34 yards. 2016 — Logged more snaps than any other player (984), taking part in 80 or more reps in eight of his first nine appearances while stepping onto the field in all 12 games ... Took part in 98 and 99 plays in consecutive outings against Colorado and Washington State, respectively, and peaked with 124 snaps at California ... The 11-game starter opened the season’s first two games at safety before converting to cornerback for the remainder of the season ... The Ducks’ fourth-leading tackler (53) paced the team in stops on only one occasion (7 vs. Virginia) before coming back with a season-high nine tackles the following week at Nebraska, including his lone quarterback sack of the year ... Tied for second on the team with six pass break ups as Oregon benefited from his lone interception of the campaign against Arizona State, picking off his fourth career errant throw at the Ducks’ 1-yard line and returning it 84 yards to prevent the Sun Devils from pulling within five points towards the end of the game ... Also has been a regular on the Ducks’ kick coverage units. 2017 — Accounted for three tackles at Wyoming ... Also recorded one sack for a four yard loss and one pass breakup against the Cowboys ... Earned two tackles including a sack for a seven yard loss against Nebraska ... Recorded first pass breakup at Oregon against NU ... Earned three tackles at Arizona State ... Recorded one tackle against Southern Utah sacking the quarterback for a nine yard loss ... Assisted on two tackles and one sack against Cal. 2016 — Saw action in 10 games during the season and recorded 18 (11-7) tackles with 2.5 tackles for loss for 13 yards ... Career-best nine (5-4) tackles at Nebraska ... One start during the season at SAM linebacker vs. Nebraska ... Three tackles and 1st career sack vs. Virginia. 2016 — Saw action in eight games over the season, only missing the last few games due to an injury ... Recorded 183 yards on 37 carries and three touchdowns ... Fourth-leading rusher of the season, despite missing four games ... Career-most two touchdowns for 12 points, one rushing one receiving, against Washington ... Had an explosive play against Nebraska racing 50 yards to score a touchdown. 2015 — Oregon's second-leading rusher (570 yards) averaged 7.4 yards per carry in 12 games, including a 62-yard run at Colorado ... Earned his first collegiate start in Boulder, demonstrated his explosiveness by carrying the ball 11 times for a season-high 110 yards and a touchdown in his most extensive action (30 snaps) as a true freshman ... Also caught three passes for 41 yards ... Almost accumulated a second-consecutive 100-yard effort the following week vs. Washington State, tallying 96 yards on the ground ... Came off the bench late in the fourth quarter to rush for 60 yards on three carries against Eastern Washington in his collegiate debut, including a 61 yard run ... Contributed 56 yards on the ground and his first collegiate touchdown vs. Georgia State while adding scores against Stanford (49-yard reception) and Oregon State (14-yard run) ... Added 91 all-purpose yards in the win over California ... Graduated from high school early to facilitate enrollment at Oregon during the 2015 winter term ... Took advantage of the off season to transition to the collegiate level although the rehabilitation of a pre-existing injury precluded him from participating in the 2015 spring drills on a full-time basis. 2017 — Saw first career action at Oregon in game against Wyoming ... Recorded first career tackle at UO against Cal finishing the game with two. 2017 — Recorded a career high 117 receiving yards against Nebraska matching career high with eight receptions ... Caught first receiving touchdown of the year against the Cornhuskers ... Led the team with 99 receiving yards against Southern Utah ... Rushed for 11 yards and one touchdown against the Thunderbirds ... Returned two punts for 24 yards finishing the game with 134 all-purpose yards ... Pulled down two receptions against Wyoming for 27 yards. 2017 — Earned four tackles against Nebraska and sealed the win against NU, snagging an interception with two minutes left in the game. recorded four tackles including first career sack against Southern Utah ... Successfully pulled down one interception while breaking up one pass ... He earned two tackles at Arizona State ... Recorded one tackle against Wyoming ... Additionally recorded his first career fumble recovery against Cal ... Assisted on one sack while breaking up one pass against Cal. 2016 — In his sophomore year he started eight games, including the last four, but saw action in all 12 . . . Recorded 31 solo tackles and 11 assisted tackles this season . . . Broke up six passes this season . . . Stood out vs. USC teaming up with Arrion Springs to break up three passes which was a personal best . . . Third best in tackles vs. Washington State with six recorded tackles (5-1) . . . Eighth best defensive leader of the season. 2016 — Saw action in three games over the season . . . Recorded three (2-1) tackles. 2015 — The converted quarterback came off the bench to contribute in six games in the defensive secondary and on special teams, accumulating a season-high three tackles (one unassisted) against Utah in his most extensive play of the year (36 snaps) . . . Made his collegiate debut in the season opener vs. Eastern Washington . . . Was credited with his first collegiate stop (one unassisted) and a pass breakup the third week of the season against Georgia State . . . Demonstrated a better understanding of the position with additional reps during the 2016 off-season workouts, including five tackles (four unassisted) and an interception in the Spring Game. 2017 — Started all five games so far this season at quarterback ... During the first third of the season he has thrown for 1,178 yards off 79-for-118 passing ... Recorded two touchdowns, one rushing and one passing, in first quarter against Cal before leaving the game due to injury ... Surpassed 3,000 career yards passing at Arizona State in only his 13th game played (11th start) making him the fastest quarterback in school history to reach that milestone ... At ASU he was responsible for a season high four touchdowns throwing three and rushing for one ... Threw for 281 yards against ASU off 19-of-35 passing ... Finished the game against Nebraska 25-for-33 throwing for 365 yards and three touchdowns recording all three scores in the first half on 21-of-25 passing for 313 yards ... Earned the Davey O’Brien “Great 8” award following his performance against the Cornhuskers ... Completed 17-of-21 passes for 281 yards and one touchdown in the season opener against Southern Utah ... Recorded his first rushing touchdown of the season against Wyoming accumulating 30 yards rushing while throwing for 251 yards off 18-of-29 passing. 2017 — Made Oregon debut in the fourth quarter against Cal ... Completed only one pass attempt for four yards. BEFORE OREGON — Named a first-team Parade All-American and “Rising Star” following senior season ... The seventh-ranked dual-threat quarterback in the country and 27th overall prospect in the state of California by Rivals.com ... Ranked 10th among dual threat quarterbacks and 31st among all recruits in the state by 247Sports.com ... Also ranked 18th at his position and 46th in the state by ESPN ... A 247Sports.com, Rivals.com and Scout.com four-star recruit ... Named one of the top 100 recruits on the West Coast by the Tacoma News Tribune ... Set CIF San Diego Section career records in total yards (14,972), passing yards (11,512), passing touchdowns (127) and pass completions (853) in four varsity seasons ... Also selected first-team All-CIF San Diego Section ... Threw for 4,461 yards and 53 touchdowns with just eight interceptions while also rushing for 1,470 yards and 27 touchdowns ... Racked up 5,937 yards of total offense for an average of 371.1 per game while accounting for 80 total touchdowns, leading La Jolla Country Day to a CIF Division 5-A runner-up finish ... As a junior, threw for 2,771 yards and 31 touchdowns with just seven interceptions while rushing for 868 yards and 20 touchdowns ... Racked up 3,112 yards through the air with 30 touchdowns while picking up 553 yards on the ground and 13 touchdowns as a sophomore ... As a freshman, threw for 1,168 yards and 13 touchdowns while picking up 568 yards on the ground and rushing for eight touchdowns ... Also received offers from Arizona, Boston College, California, Colorado, Florida, Illinois, Indiana, Oregon State, San Diego State, South Carolina, Utah and Washington. 2016 — Started at defensive end in all twelve games of the season . . . Recorded 51 (27-24) tackles with 9.5 tackles for loss for 33 yards . . . Stood out vs Utah with a career-high of nine (7-2) tackles, 2.5 tackles for loss and a sack. 2015 — Injuries relegated him to the sidelines for the entire year after he contributed to the Ducks' success as a true freshman . 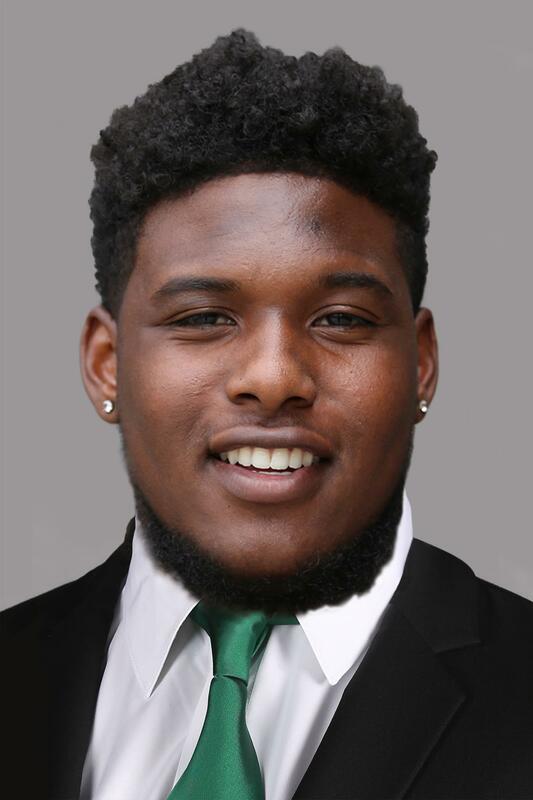 . . Was shifted from outside linebacker to defensive end prior to the 2016 spring as part of the program's realignment to a 4-3 defensive and if the Spring Game was any indication, the change would appear to be to his liking . . . Led all tacklers with eight stops in the final exhibition of the off-season. 2017 — Went 9-of-13, both career highs, against Cal for 41 yards passing before being sidelined due to injury late in the game. In addition, he rushed for 17 yards off three attempts against the Golden Bears. Saw action late in season opener against Southern Utah finishing 6-for-6 with 74 yards passing. Earned a four-yard touchdown run against SUU finishing the game with 10 yards rushing. He is UO’s go-to holder on special teams and has appeared in the game against Wyoming, attempting one pass while rushing for 18 yards off one carry. 2016 —Holder for 10 games this season, totaling 38 games over the last three seasons. BEFORE OREGON — The 12th-ranked inside linebacker in the country and 39th overall prospect in the state of California by Rivals.com … Ranked 16th in the nation at his position and 39th in the state by 247Sports.com … Rated the 18th best inside linebacker by ESPN … A Rivals.com four-star recruit … Selected to play in the 2017 U.S. Army All-American Bowl … Played in the 2017 Polynesian Bowl … Named one of the top 100 recruits on the West Coast by the Tacoma News Tribune ... Named first-team All-CIF San Diego Section as a senior … Helped lead Madison to a CIF Division 2-AA state championship after recording 160 tackles, 16 for loss, eight sacks and one interception … Recorded 14 tackles in the Warhawks’ 21-17 state championship victory over Valley Christian … Earned first-team All-CIF San Diego Section honors as a junior … Made 90 tackles, eight for loss, 1.5 sacks and forced a fumble … Made 90 stops along with two sacks, four tackles for loss and two interceptions as a sophomore … Helped Madison to a CIF San Diego Section semifinal appearance in 2014 … Also received offers from Arizona, Arizona State, Boston College, California, Colorado, Colorado State, Louisville, LSU, Michigan, Nevada, Notre Dame, Ole Miss, Oregon State, San Diego State, South Carolina, UCF, UNLV, USC, Utah, Vanderbilt, Washington, Washington State and Wisconsin. BEFORE OREGON — The 57th-ranked athlete in the country and 93rd-overall prospect in the state of Florida by Rivals.com … Rated the 65th-best athlete in the nation and 136th overall recruit in the state by 247Sports.com … Also ranked 27th among wide receivers in Florida by Scout.com … A consensus three-star recruit … Selected to the All-Metro Conference West team as a senior … Ran for 762 yards and 15 touchdowns on just 71 carries for an average of 10.7 yards per rush … Named second-team 8A all-state as a junior … Also named to the second-team All-State Elite Team by FloridaHSFootball.com … Ran for 1,117 yards and 10 touchdowns to help lead Apopka to an 8A state playoffs regional semifinal appearance … Earned 8A honorable mention recognition after helping lead Apopka to an 8A state title as a sophomore … Also received offers from Kentucky, Louisville, Marshall, Ohio, South Florida, Toledo and West Virginia. 2017 — Logged a career high five tackles, three solo, at Arizona State ... Earned first career start in the game against Nebraska recording three total tackles and one pass breakup ... Recorded two tackles in collegiate debut against Southern Utah ... Broke up a career high two passes at Wyoming while adding one tackle. BEFORE OREGON — The 66th-ranked athlete in the country and 93rd overall prospect in the state of California by 247Sports.com … Also rated the 66th-best safety in the nation, eighth-best safety in the state and 12th best in the west region by Scout.com … Ranked the 89th-overall prospect in California and 80th-best athlete in the country by ESPN … A consensus three-star recruit … Named to USA Football’s Under-19 team following senior year … Recorded 64 tackles, five for loss, and six pass breakups as a senior … Also intercepted three passes, returning one for a touchdown and recovered one fumble … Made a team-high nine tackles with one interception in Salesian’s 58-20 win over Bishop San Diego in a CIF Southern Section Playoffs first round win … Also saw time at receiver while at Salesian, catching 17 passes for 256 yards and three touchdowns throughout his career … Also received offers from Fresno State, Hawaii, Illinois, Missouri, Nebraska, San Diego State, San Jose State, Utah and Washington State. 2016 — Saw action in all twelve games of the season at safety . . . Listed as second on the depth chart at safety . . . Recorded eight (5-3) tackles during the season . . . Started in the season opener against UC Davis. 2015 — Was beginning to play some of his best football of his young career when injuries interfered with his progression and forced him to miss the final six games of the season . . . Broke into the starting lineup at safety for his first time as a collegian at Washington, accumulating a career-best eight tackles (six unassisted) in 74 plays before his exit . . . Recorded his first career interception in the season opener against Eastern Washington, returning it 17 yards . . . Also added a five tackles against the Eagles, including three solo stops . . . Made four solo tackles, including a tackle for loss, and forced one fumble that he subsequently recovered against Georgia State . . . Totaled two tackles while taking 64 snaps against Utah. 2016 — Finished the season as the Ducks’ second-leading tackler, with 29 of his 77 stops coming unassisted . . . Tallies included a pair of tackles for loss, including one vs. Washington and assists against Cal and Stanford . . . Started six of his 11 appearances and took part in 59 snaps or more on 10 occasions, earning his first career start close to home in Lincoln, Neb. . . . Posted a career-high 13 tackles vs. Arizona State, including nine solo stops one week after registering 11 tackles at California . . . Led the team in tackles against Washington (8) – parlaying them with two pass breakups – ASU, and Stanford (9), in addition to being credited with 11 stops at California . . . Forced a Utah fumble late in the second quarter on Oregon’s 11-yard line that preserved its 4-point deficit in the Ducks’ 2-point win. 2017 — Earned first career start against Southern Utah finishing the game with a career best five tackles ... Recorded one tackle at Wyoming and one tackle against Cal. 2016 — Played in all twelve games of the season at safety . . . Recorded 16 (8-8) tackles during the season. 2015 — The true freshman excelled as a special teams standout from the outset, drawing double-team blockers from the opposition on a regular basis . . . Made appearances in 12 of 13 games while recording all seven tackles (3 unassisted) covering kickoffs . . . After posting his initial collegiate takedown at Michigan State, he was credited with a season-high three tackles in the win over USC . . . Also tallied stops vs. Washington, California, and Oregon State . . . Posted his most extensive action vs. Georgia State, logging 11 plays . . . Shifted from linebacker to safety in the 2016 spring, where his reputation as an aggressive competitor could become an asset as he earned more repetitions from scrimmage as the spring wore on . . . Was credited with three tackles in the '16 Spring Game. 2017 — Earned a career high 238 all-purpose yards against Southern Utah returning the opening kickoff 100 yards for a touchdown ... Rushed for 32 yards off nine attempts and reeled in two passes for 49 yards ... Caught second career touchdown pass at Arizona State recording a career high 55 yards receiving ... Earned 90 all-purpose yards against the Sun Devils rushing for 10 yards off one carry ... Tied career highs in rushing attempts (16) and receptions (4) against Cal finishing the game with 118 all-purpose yards ... Ran for 76 yards and first rushing touchdown of the season against Cal while recording 21 receiving yards ... Accounted for 24 all-purpose yards against Nebraska earning six carries for seven yards ... recorded 17 yards rushing off a season high 10 attempts at Wyoming ... Also caught one pass for nine yards against the Cowboys. 2017 — The team's leading rusher, he has accounted for 541 yards on the ground throughout the first four games of the season . . . Currently ninth in the country in rushing averaging 135.25 yards per game . . . Opened the season rushing for over 150 yards against Southern Utah (150), Nebraska (153), and Wyoming (157) . . . Tied his career high in the season opener with four touchdowns against SUU off 23 carries . . . Leads the country in total touchdowns (10), total points scored (60) and rushing TDs (10) while ranking second in scoring (15.0 ppg) . . . Has earned at least one rushing touchdown in every game so far this year becoming Oregon's all-time career rushing touchdown leader following his sole touchdown at Arizona State to give him 54 career rushing touchdowns . . . Recorded a season-high 207 all-purpose yards at Wyoming rushing for 157 yards off 30 carries while catching one pass for 50 yards . . . Became UO's all-time career rushing attempts leader earning 97 carries throughout the first four games to give him 800 career attempts. 2016 — Saw action in two games during the season. 2015 — Continued to provide depth in the secondary while contributing as a member of the scout team . . . Was unable to find his way onto the field in the fall and is positioned behind several more experienced teammates at safety . . . Recorded one assisted tackle in the 2016 Spring Game in addition to breaking up one pass attempt. 2017 — Made his UO debut against Cal rushing for 27 yards and one touchdown off five carries. BEFORE OREGON — The 11th-ranked all-purpose back and 88th overall prospect in the state of Florida by 247Sports.com … Ranked eighth at his position by Rivals.com … The 57th-ranked athlete in the country by ESPN and 108th recruit in the state … A consensus three-star recruit … Named first-team News-Press All-Area as a senior … Ran for 1,477 yards and 20 touchdowns on 190 carries to help lead Fort Myers to a Florida 6A state playoff regional final appearance … Also caught three touchdown passes and racked up 1,808 all-purpose yards … Went over the century-mark in rushing seven times in 2016 … Selected third-team 6A all-state as a junior … Carried the ball 138 times for 1,029 yards and 14 touchdowns while also catching two more touchdown passes … Ran for 253 yards and four touchdowns while averaging 21.1 yards per carry in a state tournament first round win over Palmetto Ridge … Also received offers from Arizona, Arkansas, Auburn, Boston College, East Carolina, Florida Atlantic, Indiana, Iowa State, Kentucky, Louisville, Marshall, Miami, Mississippi State, Missouri, Nebraska, North Carolina, Rutgers, South Florida, Southern Miss, Syracuse, Tennessee, UCF and West Virginia. 2017 — Recorded two solo tackles, one sack and one tackle-for-loss during the Spring Game. 2015 — Contributions limited to the practice field as he was redshirted to preserve the additional year of eligibility for the future . . . Demonstrated improvement during spring workouts among a deep group of defensive backs. BEFORE OREGON — Attracted 2015 PrepStar All-West Region accolades for a team that won nine straight games down the stretch to claim the CIF Southern Section, Pac 5 Division championship before falling to De La Salle in the CIF Open Division title game . . . Deemed as the 65th overall prospect in the state by ESPN.com and No. 10 in California at his position by Scout.com . . . The 2014 All-Inland Empire first-team defensive back and Riverside Press-Enterprise all-area honorable mention choice was credited with 159 career tackles (73 unassisted), seven interceptions and two fumble recoveries to play a key role in a pair of sectional championships under head coach Matt Logan . . . Was responsible for 56 total tackles (28 solo) and three interceptions his final year for the Huskies in addition to five passes broken up and a forced fumble . . . The team captain returned an interception for a touchdown against Serra after posting a season-high nine tackles vs. Bishop Gorman . . . Tallied 68 tackles his sophomore season, including a personal-best 10 stops on two occasions. 2016 — Saw action in 11 games during the season, starting two games . . . First career start vs. Colorado and second vs Oregon State . . . Recorded 12 unassisted tackles and three assisted. 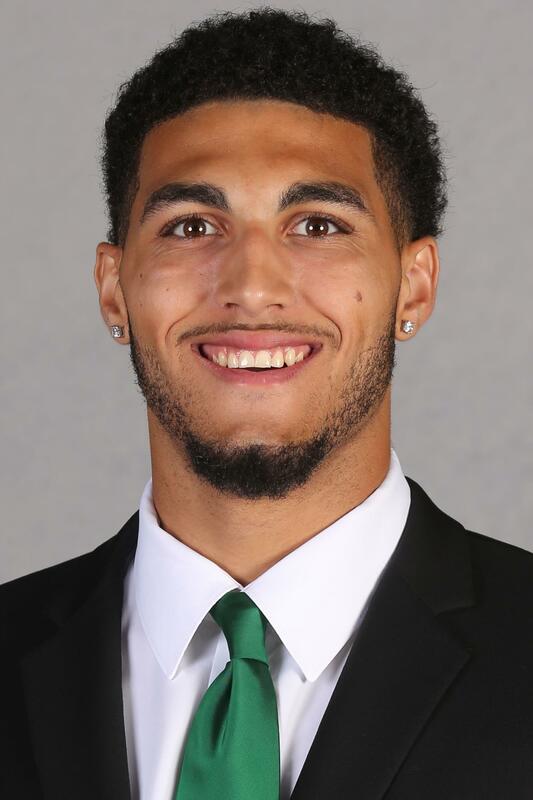 2015 — After beginning fall camp at wide receiver, he was switched to the defensive secondary shortly after the start of the season . . . Displayed ability to receive playing time as a true freshman yet proved to be a tremendous asset on scout teams during his redshirt year . . . Accomplished steady improvement during the 2016 spring practices, culminating in one assisted tackle and a pass broken up in the Spring Game. 2017 — Recorded one solo tackle during the Spring Game. 2016 — Saw action in eight games during the season as a linebacker . . . Recorded 10 (4-6) tackles over the course of the season . . . Career-high 5 (1-4) tackles against Cal . . . One of six true freshmen to make their career debut in the season opener vs. UC Davis. 2017 — Broke career high with five tackles, three solo, against Cal ... Made his Oregon debut at Wyoming recording one tackle ... Also earned one tackle at Arizona State. 2016 — Redshirted his freshman season. BEFORE OREGON — Included among Rivals.com Rivals250 as the state’s No. 1 prep prospect (Scout.com), the PrepStar All-American was one of 50 high school players selected to play for the U.S. Under-19 National Team in the 2016 International Bowl...Ranked as the No. 9 safety in the country by Rivals.com as well as 34th in the West by Scout.com, the two-time first-team all-state defensive back (The Oregonian) helped lead the Rams to an 8-3 record his senior year and a pair of Mt. Hood Conference titles, along with the Oregon 6A state championship in 2014...Garnered 58 tackles (31 unassisted), two fumble recoveries, and one interception as a senior while tallying 458 rushing yards (7.6 avg.) and six touchdowns...Also caught 10 passes for 179 yards and two more scores in addition to throwing for one TD...Accumulated 42 tackles and three interceptions his junior year in addition to contributing 175 rushing yards and 172 yards receiving...Earned second-team all-conference honors as a sophomore at South Medford High School while recording 79 tackles and five interceptions before transferring to Central Catholic prior to his junior season...Is the nephew of former Oregon All-America safety Chad Cota, who helped lead the Ducks to the 1995 Rose Bowl. BEFORE OREGON — The 26th-ranked running back in the country and 48th-ranked prospect in the state of California by 247Sports.com … Ranked 32nd at his position and 36th in the state by ESPN … The third-ranked running back in California and 20th in the country by Scout.com … An ESPN and Scout.com four-star recruit … Named one of the top 100 recruits on the West Coast by the Tacoma News Tribune ... Named the 2016 CIF San Diego Section Offensive Player of the Year as a senior … Awarded the 2016 Silver Pigskin … Ran for 2,399 yards and 36 touchdowns on 262 carries, averaging 9.2 yards per carry to help lead Mater Dei Catholic to a CIF San Diego Section Division II Championship … Also caught three touchdown passes and returned one kickoff for a touchdown while accumulating 2,605 yards of total offense … Scored five rushing touchdowns in a game three times in 2016 … Selected first-team All-CIF San Diego Section as a junior … Carried the ball 169 times for 2,135 yards averaging an impressive 12.6 yards per carry while rushing for 28 touchdowns … Also caught five touchdown passes, returned a kick for a touchdown and intercepted two passes to lead Mater Dei Catholic to a Division V-AA state title … Scored three total touchdowns and ran for 153 yards in the Crusaders’ 56-21 win over Immanuel in the state championship game … Also received offers from Arizona, Arizona State, Baylor, Boston College, California, Colorado, Eastern Washington, Hawaii, Idaho, Montana State, Nebraska, Oregon State, San Jose State, Southern Utah, UCLA, Utah, Washington State and Wisconsin. 2016 — Joined the Ducks’ program prior to the start of spring drills, with the walk-on utilizing the 15 off-season workouts to gain a grasp of the Oregon offense . . . Redshirted his freshman season. BEFORE OREGON — The 2015 graduate of Eleanor Roosevelt High School played wide receiver, safety and quarterback as a freshman and sophomore for the Mustangs before turning his focus to baseball his junior and senior seasons. 2017 — Led the team with a career high 95 receiving yards off four catches at Arizona State ... Made first career start against Southern Utah ... Caught three passes for 55 yards and his first career touchdown reception ... Pulled in one catch for 13 yards against Nebraska ... Recorded one catch for seven yards at Wyoming. 2016 — Saw action in 11 games this season . . . Made his career debut in game two against Virginia . . . Career high three receptions vs. Oregon State for 39 yards . . . Career best receiving yards (70) and long reception (63) vs. Washington State . . . Third best in receptions in game five vs. Washington State . . . Recorded six receptions for 123 yards. 2015 — Redshirted his freshman season behind a veteran contingent of tight ends. 2015 — Still awaiting his collegiate debut but maintained a solid presence in practice as part of the program's scout teams . . . Was named the Ducks’ scout team’s offensive player of the week for his efforts in aiding preparations heading into the Arizona State win . . . Caught one pass for 8 yards in the Ducks' 2016 Spring Game. 2014 — The walk-on joined the team following the start of classes in the fall, serving his apprenticeship as a member of the scout team with stints at both defensive back and wide receiver. BEFORE OREGON — The two-year starting quarterback began his prep career for the Cardinals as a wide receiver and defensive back his sophomore season . . . Accumulated 518 yards passing and six touchdowns his final two seasons in addiion to running for 899 yards and eight scores while posting 67 tackles since the start of his sophomore campaign . . . Doubled as a basketball standout, earning first-team all-Northern League honors his senior year while averaging 8.3 points, 2.1 rebounds and 2.0 assists. 2017 — He stands at second on the team with eight touchdowns so far this year ... Has recorded a career high 138 rushing yards off 18 attempts against Cal ... Finished the game with two touchdowns including a career long 68 yard touchdown run in the fourth quarter ... Also caught two passes for 17 yards against Cal ... Rushed for 107 yards and a career high three touchdowns against Southern Utah ... Averaged 15.3 yards per carry ... Additionally earned 48 yards rushing and two touchdowns off eight attempts at Wyoming ... Recorded a touchdown on the only rushing attempt against Nebraska going five yards for the score ... Ran for 13 yards in first career kickoff return against the Cornhuskers ... Logged only one rush attempt at Arizona State for -1 yards. 2016 — Stood out vs. Nebraska recording his first career 100-yard game on 6 carries and one touchdown . . . Made his first start of the season against Colorado with 49 yards on 13 carries . . . Saw action in 10 games finishing the season with 51 rush attempts for 300 yards and three touchdowns . . . Third best all purpose and rushing yards of the season. 2017 — Recorded two solo tackles, one sack, and one tackle-for-loss for three yards during the Spring Game. BEFORE OREGON — Rated the eighth-best athlete and 148th overall prospect by Rivals.com … The 14th-ranked athlete in the country and 214th overall prospect by ESPN … Ranked the 26th best cornerback in the country and 21st overall prospect in the state of California by 247Sports.com … A consensus four-star recruit … Invited to play in the 2017 Under Armour All-America Game … Named one of the top 100 recruits on the West Coast by the Tacoma News Tribune ... Named to the Los Angeles Times’ All-Star team as a senior … Ran for 1,693 yards and 25 touchdowns while catching 22 passes for 176 yards and three touchdowns in 2016 … Recorded 2,101 all-purpose yards while returning two punts and one kickoff for touchdowns … Named the SoCal Prep Legends Boys Athlete of the Week after scoring five total touchdowns, two rushing, one receiving, one kickoff return and one punt return, and racking up 366 all-purpose yards in a 47-10 win over Upland … Selected first-team All-West Valley Division as a junior … Ran for 671 yards and nine touchdowns while finishing with 232 receiving yards and three touchdowns … Made 63 tackles and intercepted three passes, returning one for a touchdown, while totaling 1,430 all-purpose yards … Also named first-team All-West Valley Division as a sophomore after rushing for two touchdowns and returning one kick for a touchdown while intercepting two passes and racking up 691 all-purpose yards … Also received offers from Arizona, Arizona State, Boise State, California, Colorado, Illinois, Michigan, Nebraska, Notre Dame, Oklahoma, UCLA, USC, Utah, Washington and Washington State. 2017 — Recorded two solo tackles during the Spring Game. 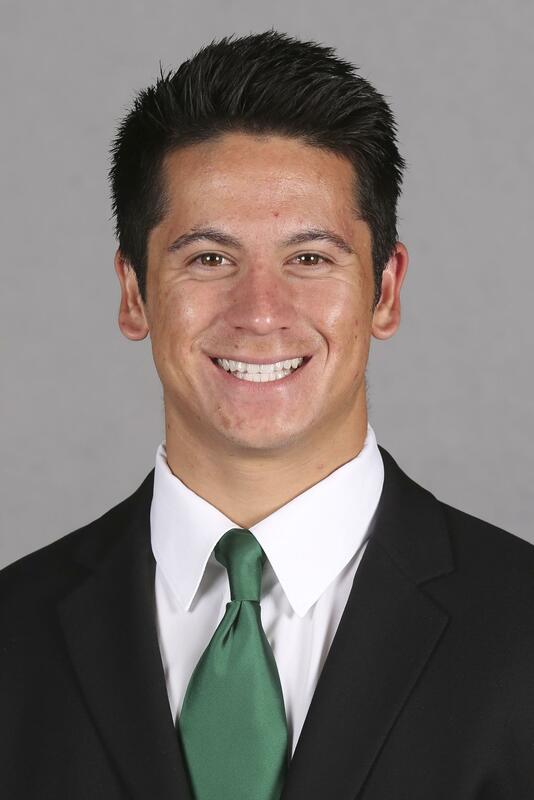 2015 — The walk-on enhanced his transition to the collegiate level as a scout team contributor, earning the scout team’s special teams player of the week for aiding the Ducks’ preparations heading into the California game. BEFORE OREGON — The 2015 graduate of Houston’s St. Pius X School and three-year letterman was a 2014 finalist for the Houston TD Club Defensive Player of the Year after posting 54 tackles his senior year . . . The prep linebacker added 37 stops (including 25 solo) and one interception for the Panthers as a junior as well as ran for 190 yards and two touchdowns on 43 carries in 2012 . . . Also lettered four years in track. 2016 — Participated in 11 games during the season mostly on special teams, recording five (2-3) tackles . . . One of six true freshmen to make their career debut in the season opener against UC Davis. BEFORE OREGON — The 25th-ranked athlete and 47th-overall prospect in the state of California by 247Sports.com … Rated the 42nd-overall running back in the country and 63rd-best prospect in California by Rivals.com … The fourth-highest ranked running back in California and 23rd overall at his position by Scout.com … A Scout.com four-star recruit … Played in the 2017 Polynesian Bowl … Named one of the top 100 recruits on the West Coast by the Tacoma News Tribune … Selected first-team All-West Catholic Athletic League as a senior … Ran for 805 yards and 11 touchdowns on 161 carries helping lead St. Francis to a CIF Central Coast Section Division 2 semifinal appearance as a senior … Named the WCAL Junior Player of the Year after rushing for 1,438 yards and 17 touchdowns, going over the 100-yard mark five times … Racked up 2,202 all-purpose yards while returning two kickoffs for touchdowns … Rushed for 258 yards and four touchdowns for an average of 12.9 yards per carry in a CIF Central Coast Section Division 2 semifinal win over Wilcox … Also received offers from Army, Boise State, BYU, California, Eastern Washington, Hawaii, Iowa State, UCF, UNLV, USC, Utah, Washington State and Wyoming. BEFORE OREGON — The 51st-ranked defensive tackle in the country and 106th overall prospect in the state of Florida by ESPN … The fifth-highest ranked defensive tackle in Florida and 44th overall at his position in the country by Scout.com … Ranked 59th in the country at defensive tackle and 116th overall in the state by 247Sports.com … A consensus three-star recruit … Named first-team All-Pinellas County as a senior … Recorded 40 tackles with three sacks and nine tackles for loss while forcing one fumble … Selected to the first-team Florida 7A All-State team as a junior … Also named first-team All-Pinellas County … Made 84 tackles with nine sacks, a Pinellas County leading 28 tackles for loss while forcing three fumbles … As a sophomore, recorded 49 tackles, six for loss, three sacks and one fumble recovery to help lead Pinellas Park to a 7A state tournament appearance … Also received offers from Arizona, Boston College, Florida, Florida Atlantic, Florida State, Indiana, Iowa State, Kentucky, Louisville, Minnesota, Navy, Ole Miss, Oregon State, Rutgers, South Florida, Tennessee, Toledo, USC and West Virginia. 2016 — Recorded two snaps in his season debut game against Stanford. 2015 — Came off the bench in the latter stages of the season opener vs. Eastern Washington as well as against Georgia State, including a season-high 14 snaps in the latter outing. BEFORE OREGON — Had a career total of 734 receiving yards, 63 catches and 10 total touchdowns . . . Helped lead the Sheldon Irish to become state champions in 2012 as a senior linebacker and slot under head coach Lane Johnson . . . Ended his senior year with 590 total receiving yards and seven touchdowns . . . Named second team all-state as a linebacker in 2012 . . . Irish also won state championships his freshman season . . . Earned four letters playing baseball for the Irish as 1B/OF . . . Played in two games during his baseball career finishing with a career batting average of .250, one RBI and one hit . . . Lettered three years on Sheldon’s basketball team as post/guard . . . Played in a total of eight games with three points and 14 rebounds. BEFORE OREGON — A first-team All-Western Conference selection as a place kicker … Named to the Hillsborough County All-Star Game as a dual specialist, booting the game-winning field goal for the East squad with 1:21 remaining in the game ... Finished as the Wolves’ second-leading scorer with 40 points, connecting on four-of-seven field goals as well as 28-of-30 PATs his senior season ... Converted a 50-yard field goal ... 30 of his 45 kickoffs were touchbacks ... Averaged 35.6 yards per punt on 33 kicks, downing seven kicks inside the 20-yard. 2016 — Made his season debut in the fourth game of the season against Colorado . . . Recorded five tackles against Colorado, four being unassisted . . . Stood out in his first career start vs. ASU, ending the game with 5 tackles (3-2) and his first career interception . . . Fourth best defensive leader vs. Cal with a career-high nine tackles (6-3) . . . 20 tackles in a three game streak (Cal/ASU/USC) . . . One of six players during the season to make an interception . . . Two starts during the season vs. ASU and USC . . . Finished the season with 29 total tackles (21-8). BEFORE OREGON — A 2016 graduate of Mountain View High School and four-year letterman in football … Earned first-team Oregon 5A all-state honors in 2015 as a senior … Also named first-team All-Intermountain Conference … Went 4-for-6 on field goals with a long of 47 yards … Received all-state honorable mention recognition as a junior … A first-team All-Intermountain Conference selection as both a kicker and punter … Named all-state honorable mention as a sophomore after going 6-for-7 on field goals … Selected first-team Class 5A Special District 1 All-League selection … Also a standout in soccer, earning three first-team all-state selections … High school coach was Brian Crum. 2017 — Recorded one 11 yard reception during the Spring Game. 2016 — Saw action in the first game of the season vs. UC Davis. 2015 — Continued to be an asset on the practice field and aid the Ducks' preparations for upcoming opponents as exemplified by him being named Oregon's scout team special teams player-of-the-week for his efforts leading up to the school's win at Stanford. 2017 — Made debut in the season opener against Southern Utah with one punt for 46 yards 2016 – Did not play in any games during the season. 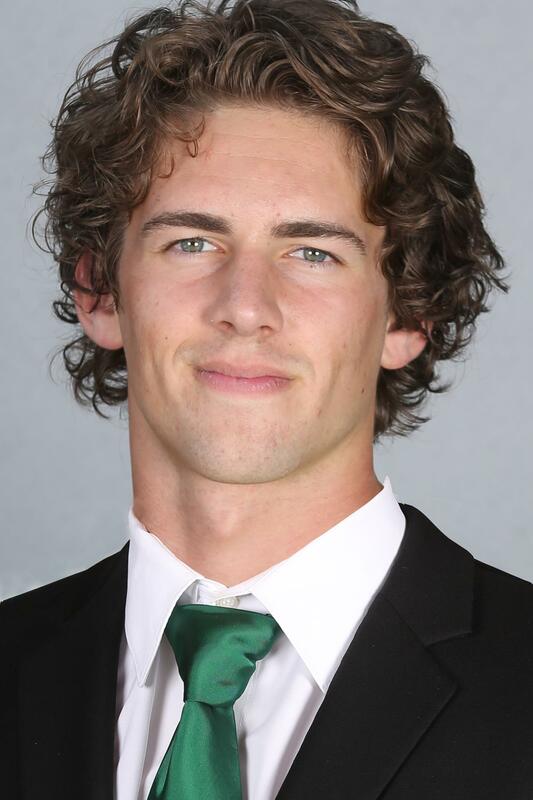 2015 — Provided insurance on the depth chart behind the Ducks' top punters yet continued to hone his skills on the sidelines and scout team during his redshirt season. BEFORE OREGON — The 2015 Oaks Christian School graduate averaged 39.3 yards per punt his senior year, including a long boot of 61 yards . . . Placed 16 of his 37 kicks inside the 20 yard line in 2014 . . . Also played quarterback and tight end for the Lions during his prep career, finishing the 2015 season with a 5-5 ledger. BEFORE OREGON — The 11th-ranked inside linebacker in the nation and second overall prospect in the state of Hawaii by Rivals.com … Rated 18th in the country at his position and second overall recruit in the state by 247Sports.com … Also ranked second in the state and 24th in the nation at outside linebacker by ESPN … A consensus four-star recruit … Named one of the top 100 recruits on the West Coast by the Tacoma News Tribune ... Selected second-team all-state by the Honolulu Star-Advertiser as a senior after helping lead the Crusaders to an Open Division state title … Also named honorable mention All-Hawaii by ScoringLive.com … Made four tackles with two sacks in a state semifinal win over Waianae … Recorded six tackles in St. Louis’ 30-14 win over Kahuku in the state championship game … Named the KHON Cover2 Defensive Player of the Year following junior season … Also earned first-team All-Hawaii honors from ScoringLive.com … Named second-team all-state by the Honolulu Star-Advertiser after playing a key role on St. Louis’ state runner-up team … Made seven tackles while forcing and recovering a fumble in a state semifinal win over Mililani … Also received offers from Arizona, Arizona State, Colorado, Hawaii, Nebraska, UCF, Washington and Washington State. 2016 — Did not play in any games during the season. 2015 — The walk-on made the transition to the next level by contributing to the Ducks' scout team efforts and providing looks of the opposition to the Oregon offense in practice . . . Shifted from the defensive perimeter to the inside during the 2016 spring workouts, culminating with three tackles (one solo) in the Spring Game . . . Included was a stop for lost yardage as well as one pass breakup. BEFORE OREGON — The 2015 St. Louis School graduate and two-year letterman was named Interscholastic League of Honolulu (ILH) honorable mention as a senior linebacker for the Crusaders, who finished the 2014 season with a 6-4 record. 2016 — Played in eight games over the season . . . Recording three unassisted tackles and one tackle for loss for 11 yards. 2015 — Possesses a tremendous frame from which to build the necessary bulk to hold his own along the interior defensive line, now just needs to acquire experience afforded him through redshirting his freshman season . . . Was credited with one TFL for a 7-yard loss among his two tackles in the 2016 Spring Game. 2017 — Contributed to the Spring Game's defense by recording four solo tackles, one sack, and one tackle-for-loss for seven yards. 2016 — Graduated from high school early in order to enroll at Oregon in time for the start of the winter term and participate in spring drills . . . Worked through the spring at defensive end to get a jump on other newcomers and take advantage of a new defensive scheme . . . Posted a pair of assisted tackles as well as credited with 0.5 tackles-for-loss for a 4-yard takedown in the 2016 Spring Game. BEFORE OREGON — The 45th-ranked prospect in the state of California and 35th-ranked offensive guard in the country by ESPN ...Also rated the number three offensive guard prospect in California … Ranked the 52nd best offensive tackle in the country and 53rd overall prospect in California by Rivals.com … The 43rd-ranked prospect in California and 28th-ranked defensive tackle in the country by 247Sports.com … A Scout.com four-star recruit … Played in the 2017 Polynesian Bowl … Named one of the top 100 recruits on the West Coast by the Tacoma News Tribune ... Named the Tri-City Athletic League’s Defensive Lineman of the Year … Also selected first-team all-area as a defensive lineman by the Stockton Record … Defensively, made 39 tackles while recording five sacks and a forced fumble … Helped lead the St. Mary’s offense to 486.1 yards of offense per game and 232 yards per game on the ground on the way to a CIF Division 1-AA second-place finish … Named the 2015 Tri-City Athletic League MVP as a junior … Recorded 48 tackles, four for loss, 4.5 sacks and three forced fumbles to help lead St. Mary’s to a CIF Sac-Joaquin Section semifinal appearance … Also received offers from Arizona, Arizona State, California, Colorado, Colorado State, Fresno State, Hawaii, Michigan, Nebraska, Ole Miss, San Diego State, UCLA, USC, Utah, Washington and Washington State. 2017 — Earned first solo tackle of the year at Wyoming ... finished the game with three tackles against the Cowboys. 2016 — Made his first career start in game eight against ASU . . . Started against USC, finishing the game with a career high 5 tackles . . . Four starts during the season but saw action in seven games . . . Finished the season with 14 (7-7) total tackles. 2015 — Redshirted his freshman season to provide him the opportunity to prepare for the physical rigors in the coming years . . . Accumulated a pair of tackles in the 2016 Spring Game. BEFORE OREGON — The 44th-ranked offensive guard in the country and 10th-ranked overall prospect in the state of Oregon by 247Sports.com … Ranked ninth-overall in the state and 81st in the nation at his position by Rivals.com … Rated 70th nationally among all offensive guards and 10th-overall in Oregon by ESPN … A consensus three-star recruit … Selected second-team 6A all-state as a senior … Helped lead the way for a Sheldon offense that averaged 405 total yards per game and put up 38.3 points per game … Defensively, made 58 tackles, 9.5 for loss, with five sacks, a forced fumble and a blocked punt … Earned first-team All-Southwest Conference as a junior … Opened holes for a Sheldon offense that averaged 253.7 yards per game on the ground and scored 48.1 points per game … Also recorded one sack while making 20 total tackles defensively … Earned honorable mention All-Southwest Conference recognition after helping Sheldon to a 6A state semifinal appearance as a sophomore … Also received offers from Arizona, Akron, Ball State, Buffalo, Central Michigan, Fresno State, Hawaii, Idaho, Massachusetts, Nevada, Ohio, Oregon State, Purdue and Washington State. 2017 — Showcased his defensive skills during the Spring Game by recording the most 11 solo tackles. 2016 — The walk-on was added to the roster in time for the start of spring drills, where he worked to grab the coaches' attention . . . Credited with three tackles in the annual Spring Game . . . Did not see any in game action during the season. BEFORE OREGON — A standout linebacker and running back at St. Charles West High School . . . Broke the school record for career tackles in early October of his senior year, totaling 12 tackles in a win over Orchard Farms to give him 293 career takedowns . . . As a junior in 2013, earned first-team all-conference recognition as a running back and linebacker as well as first-team all-state defensive honors after recording 191 tackles and seven sacks in addition to rushing for 439 yards and 10 touchdowns. 2016 — An honorable mention All-Pac-12 selection … Started all 12 games at right tackle as a redshirt freshman taking more snaps (939) than any other Oregon player on the offensive side of the ball … Key cog in the Ducks finishing second in the league in rushing (246.5 ypg) and 15th nationally in total offense (491.7 ypg) … One of four redshirt freshmen listed as starters on the final depth chart . . . Helped the Ducks run for a season-best 336 yards and five touchdowns at Nebraska … Took part in more than 90 plays on three occasions (at California, vs. Arizona State, and at Utah), including 99 snaps against the Sun Devils … Named first-team Pac-12 all-academic. BEFORE OREGON — The four-year defensive line starter as well as two-time KingCo 4A Lineman of the Year and first-team all-league pick … Named to the Tacoma News Tribune’s 2015 Northwest Nuggets honor roll and PrepStar All-West Region elite … Ranked by Scout.com as the state’s 11th overall in-state recruit and Washington’s No. 3 offensive tackle while Rivals.com projected him among the nation’s top-50 at his position … Selected to the Associated Press 2014 4A all-state first team and all-area by the Seattle Times … Credited with 13 pancake blocks his senior year in addition to 61 tackles (28 unassisted) and nine tackles for loss … Made a season-best nine tackles against Olympia for a team that finished 10-3 and advanced to the 4A state semifinals … Posted 46 tackles (39 solo) and recovered two fumbles as a junior for the Knights after contributing 33 tackles and three forced fumbles during the 2012 campaign … High school coach was Drew Oliver. 2016 — An honorable mention All-Pac-12 selection … Started all 12 games at center as a redshirt freshman … Key cog in the Ducks finishing second in the league in rushing (246.5 ypg) and 15th nationally in total offense (491.7 ypg) … One of four redshirt freshmen listed as starters on the final depth chart . . . Helped the Ducks run for a season-best 336 yards and five touchdowns at Nebraska after rushing for 301 yards against Virginia the previous week … Also helped spring Charles Nelson for a 25-yard scoring run with a down-field block at USC … Only one other offensive player took part in more snaps, which included consecutive-game reps of 91 and 92 snaps against California and Arizona State, respectively … Named second-team Pac-12 all-academic. BEFORE OREGON — Earned MaxPreps Division II second-team all-state honors for a team that finished the year with a 4-6 record … Ranked as the No. 5 in-state product at his position by Scout.com as well as the nation’s 70th offensive tackle … Credited with 13 pancake blocks for a run-oriented offense that averaged 223.5 yards per game and scored 26 of its 34 touchdowns on the ground … Defensively, accumulated 61 career tackles (39 unassisted), including 29 total stops (20 solo) his senior season … The Big 5 League’s two-time co-MVP lineman and 2014 team captain posted a single-game best of seven tackles vs. Fortuna, with the Loggers’ two-way starter also serving as the team’s long snapper … His grandfather played in the NFL for the Los Angeles Rams … High school coach was Jason White. 2017 — Earned first career interception at Wyoming finishing the game with a season high four tackles ... Recorded two tackles in the season opener against Southern Utah ... Logged one tackle at Arizona State before sitting out the rest of the game due to injury. 2016 — Enrolled at Oregon for the start of the winter term in order to get a jump on off-season workouts and preparations for spring practice . . . Improved play as the spring wore on and provides the physical skills conducive to the program's revamped defensive philosophy . . . Contributed five tackles in the 2016 Spring Game . . . Started four games and participated in ten during the season . . . Recorded 34 (19-15) tackles and 2.5 tackles for loss for seven yards . . . Career-best nine tackles against Colorado. 2017 — One of six true freshmen that made their career debut in the season opener against UC Davis ... Participated in all twelve games during the season ... Recorded twelve (5-7) tackles, 0.5 tackles for loss and two pass breakups over the season. 2016 — One of six true freshmen that made their career debut in the season opener against UC Davis . . . Participated in all twelve games during the season . . . Recorded twelve (5-7) tackles, 0.5 tackles for loss and two pass breakups over the season. 2016 — Played in all 12 games during the season. 2015 — Stepped onto the field for 12 of 13 games, logging more playing time (475 snaps) than any other of the team's interior offensive line reserves . . . Provides the flexibility of being able to play either guard or center . . . Experienced his most extensive action of the year in a starting role vs. Georgia State (93 snaps) before also opening at right guard against Arizona State and Oregon State . . . Oregon accumulated 674 yards of total offense vs. the Beavers while he was in the lineup for 88 plays . . . Extended his string of appearances to 18 of his last 20 games . . . Earned spot on the Pac-12's academic first team. 2014 — Benefited from the tutelage acquired by serving as the understudy to Oregon’s three-time first-team Pac-12 center while adding to his repertoire with the ability to play any one of three interior offensive line positions . . . Stepped onto the field for 10 games, with the majority of his playing time occurring at center in the early going before making his debut in the starting lineup at left guard against Colorado . . .Took part in a season-high 33 plays in the season opener vs. South Dakota as well as 26 snaps against California for his most extensive duty during the Pac-12 campaign . . . Was named academic all-conference second team following the season. 2016- Appeared in every game as long snapper for the Ducks... Accurately delivered all 134 snaps to Oregon punters and holders... Executed a creative slide to down a punt at the three-yard line at USC . . . Credited two assisted tackles during the season. 2015 — Accurately delivered all 146 of snaps to Oregon punters and holders while stepping onto the field in all 13 games . . . Aided kick coverage teams with an assisted stop in the season finale against TCU. BEFORE OREGON — A 2017 graduate of Sheldon High School and three-year letterman in football … Missed all of 2016 season with an injury … Named second-team All-Southwest Conference as a junior … Helped open holes for a Sheldon offense that averaged 204.5 rushing yards per game on the way to an Oregon 6A state semifinal appearance … Part of an Irish team that made the state semifinals as a sophomore … Also a standout in track and field … Placed third in the state shot put as a senior … High school coach was Lane Johnson. BEFORE OREGON — Selected as one of the area’s top offensive linemen by the Los Angeles Times ... A PrepStar All-West Region choice ... Ranked among top 50 offensive tackle prospects in the country (Rivals.com) and among the top 10 offensive tackles in the West by Scout.com as a senior ... Team completed 2015 ranked 14th in the state ... Selected to play in the Semper Fidelis All-American game after playing a major role for a team that averaged 259.1 rushing yards per game and advanced to the quarterfinals of the Pac-5 Division playoffs ... Included were season highs of 576 rushing yards and 691 yards of total offense vs. St. Bonaventure ... Named first-team All-Trinity League and first-team All-Orange County following the 2015 season after entering season ranked fourth in the county among offensive tackles (Orange County Register). 2016 — The walk-on was added to the Ducks’ roster prior to the start of spring drills, spending spring practices transitioning to the collegiate level . . . Redshirted. BEFORE OREGON — The four-time football and track letterman graduated from Portland’s Jesuit High School in 2014 before pursuing a fifth year at Connecticut’s Hotchkiss School ... Voted first-team all-state (The Oregonian) and all-Metro League at center his senior season before participating in the Les Schwab Bowl ... Crusaders advanced to the state championship game and an 11-3 record in 2013 as well as the state semifinals in 2012 ... Played a year of postgraduate football at The Hotchkiss School in Lakeville, Conn., in 2014. 2016 — Played in 12 games, starting 10 at left tackle ... Key cog in the Ducks finishing second in the league in rushing (246.5 ypg) and 15th nationally in total offense (491.7 ypg) … One of four redshirt freshmen listed as starters on the final depth chart … Helped the Ducks run for a season-best 336 yards and five touchdowns at Nebraska … Made collegiate debut in the starting lineup vs. UC Davis while also starting all nine Pac-12 games … Played an integral role in Oregon gaining a season-high 734 yards of total offense and scoring 54 points against Arizona State … Accumulated more than 90 plays against California (98), Arizona State (92), and Utah (94). 2016 — Did not see any action during the season but consistently provided his experience and skills to help the Ducks suceed. 2015 — Provides the Ducks with an experienced reserve at his craft but a healthy front-line long snapper didn't provide the opportunity for him to demonstrate his proficiency in a game . . . Remains an asset on the scout team as he continues to hone his skills for when his number is called. BEFORE OREGON — The three-year starter flourished his senior year after being converted from the defensive secondary to middle linebacker only weeks before the season opener . . . Completed his final year posting 84 tackles, forcing three fumbles and grabbing two interceptions for the Highlanders, who finished the year with a 10-2 record . . . Garnered all-Freeway League and all-area acclaim as well as lauded nationally at the Chris Rubio Kicking Camp. 2016 — Started all 12 games at left guard as a redshirt freshman … Key cog in the Ducks finishing second in the league in rushing (246.5 ypg) and 15th nationally in total offense (491.7 ypg) … One of four redshirt freshmen listed as starters on the final depth chart . . . Helped the Ducks run for a season-best 336 yards and five touchdowns at Nebraska … Logged 80 snaps or more against Colorado, California, and Utah, including a season-high 89 plays in Salt Lake City … Helped provide the protection for the offense to accumulate 271 of its 575 yards of total offense in the fourth quarter in Oregon’s come-from-behind win over Utah … Named honorable mention Pac-12 all-academic. BEFORE OREGON — The 2014 Seattle Times’ pre-season all-state choice earned PrepStar All-West Region honors following a senior season … Played in the 2015 Semper Fidelis All-American Bowl … Ranked as the top offensive guard in Washington by Scout.com and ninth in the region at his … Two-way starter … Named first-team All-Big 9 as a senior and honorable mention all-league as a junior … High school coach was Scott Ditter. 2016 — Participated in Oregon spring drills after graduating early from high school in order to enroll at Oregon in time for the start of the winter term . . . Redshirted his freshman season. BEFORE OREGON — Drew rave reviews for his play on both the offensive and defensive lines for the undefeated Pioneer Valley League champions who helped lead the Hillmen to the semifinals of the 2015 Sac-Joaquin Section Division III state championship playoffs and a 12-1 record ... The PrepStar All-West Region pick ranked seventh on Scout.com’s list of the state’s top offensive tackles and 8th on its list encompassing the West region after keying the program’s dominating ground game that rushed for over 4,500 yards (351.0 avg.) and 59 touchdowns his senior season ... Characterized as an overpowering blocker who constantly put the opposition on their backs as his team accounted for five games of rushing totals greater than 420 yards, including 537 yards against Patterson ... Added 45 tackles, 2.5 quarterback sacks, and a pair of blocked field goals his final two prep seasons ... The two-time first-team all-Metro selection (Sacramento Bee) also earned first-team all-Sac-Joaquin Section and first-team all-Northern California honors by MaxPreps.com to culminate his senior year after claiming second-team all-Northern California recognition in 2014. BEFORE OREGON — Ranked as the top prospect in the state (Scout.com) despite missing the majority of his senior season with a leg injury suffered during the 2015 spring ... Returned to play for the start of the NIAA Division I-A Southern Region state playoffs, with the Jaguars advancing to the playoff semifinals with an 8-3 record ... The PrepStar all-West Region selection was named to the 2015 American Family Insurance All-USA Nevada football team after receiving preseason all-city acclaim by the Las Vegas Sun for a team that averaged 42.6 points and 387.4 yards of total offense per game ... Completed a tremendous junior year for a program that advanced to the NIAA Division I-A state championship playoff finals, finishing with an 11-2 record ... Garnered 2014 Division I-A first-team all-state and first-team all-Sunrise League accolades ... Is the younger brother of former Utah three-year starting offensive linemen Jeremiah Poutasi, who completed his rookie year with the Tennessee Titans. 2016 — Injuries dampened the season for the Ducks’ top offensive lineman, missing all but two games his junior year . . . Missed the season opener but returned to the starting lineup for the next two games before his season came to a premature end at Nebraska . . . Took part in 18 snaps in each of his two appearances . . . Contributed to Oregon running for a season-high 336 yards against the Huskers. 2015 — The 12-game starter at right tackle saw his string of 13 consecutive opening assignments (dating back to 2014) interrupted against Arizona State despite logging 76 snaps in Tempe . . . Played a large role in Oregon rolling up over 400 yards on the ground on three occasions, including a season-high 485 yards in the opener vs. Eastern Washington . . . Contributed to the Ducks' 8.5 per-carry rushing average against the Eagles . . . Took part in 90 or more plays seven times, including a career-high 107 snaps against California, while participating in more plays (1,046) than any of his offensive teammates . . . Served as a vital cog for an offense that ranked fifth in the country in total offense, rushing, and scoring, in addition to his role in helping Oregon extend its hold on the league's rushing title for the 10th year in a row. 2016 — Made his 2016 debut in the game against Washington State and saw six total games of the season. 2015 — Continued has ascension within the trenches as an experienced reserve who was at home at either offensive guard outpost ... Stepped onto the field for 12 of 13 games, including 35 plays in the Alamo Bowl loss to TCU and 33 vs. California ... Logged more playing time the second half of the season when the Ducks closed the regular season with six consecutive triumphs ... Included among his better performances was an outing against the Golden Bears when Oregon ran for 477 yards among its single-game school-record 777 yards of total offense ... Was a part of an offensive line that helped pave the way for a contingent that ranked fifth in the country in total offense, rushing, and scoring, in addition to his role in helping Oregon extend its hold on the league's rushing title for the 10th year in a row ... Concentrated his efforts on expanding his versatility in the 2016 off-season, working to improve his proficiency at all five interior line positions. 2014 — One of four offensive linemen to play in all 15 games, awarded a starting role in his collegiate debut vs. South Dakota before serving as a valuable reserve the remainder of the year ... Concluded the regular season with his two most extensive appearances of his freshman year, logging 46 snaps off the bench vs. Colorado before taking part in a season-high 58 plays at Oregon State ... Also played a prominent role for an offense that paved the way for the Ducks’ appearance in the inaugural College Football Playoff National Championship, with Oregon finishing third in the country in total offense (547.0) and fourth in scoring (45.4) ... One of a handful of returnees to be given looks at center during 2015 spring workouts. BEFORE OREGON — The third-ranked junior college offensive tackle in the country and 20th overall by 247Sports.com …. Ranked sixth at his position and 41st in the nation by ESPN …. Ranked 24th in the country among junior college prospects by Rivals.com … A Scout.com four-star recruit … Selected first-team All-California Community College Region I as a freshman in 2016 … Also named first-team All-Bay 6 League … Helped lead a San Mateo offense that averaged 32.4 points per game, 408.8 total yards per game and 192.8 rushing yards per contest … Helped lead Deer Valley to a 2013 CIF North Coast Section semifinal appearance as a junior … Led the way for a Deer Valley offense that put up 42.1 points per game and averaged 386.3 yards per game … Also received offers from Arizona State, Auburn, California, Fresno State, Missouri, Oregon State, Purdue, San Diego State, Syracuse, TCU, Utah, Utah State and Washington State. BEFORE OREGON — The second-ranked overall recruit in the state of Oregon and 21st-ranked offensive tackle in the country by Rivals.com … Ranked third overall in the state and 49th in the nation at his position by 247Sports.com … Rated the fourth best prospect in the state and 24th overall offensive tackle by ESPN … An ESPN and Rivals.com four-star recruit … Named first-team 6A all-state as a senior … Helped lead West Linn to an Oregon 6A state title and an undefeated season … A key contributor to a West Linn offense that averaged 507.7 yards per game … Opened holes for a West Linn ground attack that averaged 203.1 yards rushing per game … Also contributed defensively, making 20 tackles, four sacks and forcing one fumble … Selected first-team 6A All-State as a junior … Also named first-team All-Three Rivers League after helping West Linn to a 6A state runner-up finish … Led the way for a West Linn offense that averaged 466.6 total yards per game and 324.7 yards per game through the air … Named honorable mention All-Three Rivers League as a sophomore … Also received offers from Arizona, Arizona State, Boise State, California, Colorado State, Fresno State, Hawaii, Memphis, Michigan, Nevada, Oregon State, Purdue, USC, Utah, Vanderbilt, Washington, Washington State and Wyoming. 2016 — Saw action in all twelve games of the season. 2015 — Brings a wealth of experience to the table, stepping onto the field for all 13 games including starting assignments at left guard in wins at Washington and Arizona State ... Accountable for more than 30 plays on five occasions throughout the year ... Logged a career-high 83 plays while facing the Huskies and responded with 55 snaps in the Alamo Bowl ... Possesses the flexibility to play either side of the center of the line as well as both guard and tackle. 2014 — Logging playing time as a reserve along the offensive front line in eight games as a redshirt freshman, he accumulated 44 of his 63 snaps the latter half of the season ... Yet enjoyed a season-best 18 plays in the third game of the season vs. Wyoming ... Provided depth to a unit besieged by injuries and in position to benefit from the added experience acquired from another season and spring in the program. BEFORE OREGON — The second-ranked wide receiver prospect in the state of Arizona and 119th-ranked recruit in the nation at his position by Scout.com … The 30th-ranked overall recruit in Arizona by 247Sports.com … Rated the 11th best overall prospect in Arizona by ESPN … A consensus three-star recruit … Selected to be a part of USA Football’s Under-19 team following senior season … Caught 77 passes for 1,274 yards and eight touchdowns while averaging 16.5 yards per reception for Chandler’s Arizona 6A state championship team … Went over the 100-yard mark in receiving five times in 2016 … Biggest game of the year came in a win over Pinnacle after catching 10 passes for 145 yards and two touchdowns … As a junior, caught 37 passes for 552 yards and two touchdowns to help lead the Wolves to a state semifinal appearance … Also received offers from Idaho, Michigan State, Montana, Nevada, New Mexico, New Mexico State, Northern Arizona, South Dakota State, UNLV, Utah State and Wyoming. BEFORE OREGON — Ranked 136th in the country among wide receivers and 129th overall in the state of Florida by 247Sports.com … The 23rd-ranked wide receiver in Florida and 167th overall at his position by Scout.com … The 97th-overall recruit in the state by Rivals.com … A consensus three-star recruit … Named third-team All-Broward County after helping lead Deerfield Beach to an 8A state semifinal appearance as a senior … Showed big-play capability as a senior, averaging 25.8 yards per reception … Played junior season at Stranahan High School after spending first two years of high school at Somerset Academy … Runs the 40-yard dash in 4.3 seconds … Also received offers from Bowling Green, Cincinnati, Duke, Florida International, Florida Atlantic, Illinois, Indiana, Kentucky, Louisville, Marshall, Miami, Nebraska, North Carolina State, Ohio, Penn State, South Florida, Syracuse, Tulane, Utah and West Virginia. 2016 — Made his season debut in the first game vs. UC Davis, recording one carry for 15 yards. 2015 — Made his first appearance as a Duck off the bench in the third game of the year against Georgia State . . . Caught a trio of passes for 29 yards in the 2016 Spring Game. 2016 — Saw action in seven games over the season and recorded his first career reception for eight yards at Utah. 2015 — Sidelined the majority of the season due to injuries which carried over to the 2016 spring as well . . . Demonstrated tremendous promise during the 2015 spring after graduating from high school early in order to begin classes at Oregon for the start of the winter term . . . Possessed the talent to become a factor as a true freshman if healthy as he took advantage of his size advantage over defenders . . . Participated in the 2015 Spring Game but was unable to do so in '16. 2017 — Recorded first career catch at UO in game against Nebraska for 22 yards ... Caught one pass in his first career start against Cal for four yards. 2016 — Graduated from high school early in order to facilitate enrolling at Oregon in time for the start of the spring term ... Benefited from the tutelage of a trio of senior tight ends during spring drills and demonstrated an accelerated grasp of the offense in a short amount of time . . . An abundance of quality and quantity at the position will enable him to progress at a rate he is comfortable with and allow time for him to physically and mentally mature before being thrust into the middle of competition . . . Reshirted. BEFORE OREGON — Entered the 2015 season rated as the No. 1 tight end prospect in the western half of the country (24/7Sports) before a leg injury sidelined him for the remainder of his senior season after two games ... Still considered among the best tight ends in the state after accumulating career totals of 51 catches for 694 yards (13.6 avg.) and 10 touchdowns ... The PrepStar all-West Region selection and 2014 all-state honorable mention choice (The Oregonian) claimed first-team all-Intermountain League tight end honors after grabbing 35 receptions for 491 yards and eight touchdowns as a junior for the Storm, which finished the season with a 7-3 record and an opening-round exit in the OSAA Class 5A state playoffs ... Summit won the 5A state championship (12-1) over Ashland in 2015 ... Ranked as the state’s No. 4 prospect by Scout.com ... Totaled 49 tackles in 2014 including four quarterback sacks (31 yards in losses), and was credited with three forced fumbles while breaking up three passes ... Received second-team all-league accolades on defense as a sophomore in addition to honorable mention conference kudos on offense ... Tutored along the defensive line by former Oregon and Minnesota Vikings’ standout Neil Elshire. 2017 — Earned first career receiving touchdown in game against Nebraska ... Recorded 41 receiving yards against NU ... Earned a touchdown on his only catch against Cal for a career long 37 yards ... Caught two passes totaling 27 yards at Arizona State ... Pulled in two receptions for 12 yards in first appearance as a wide receiver for Oregon against Southern Utah ... Recorded first career start at wide receiver against Wyoming. 2016 — Started ten games this season at safety but saw action in all twelve . . . Made his career debut against UC Davis and his made his first career start against Nebraska . . . Finished the season with 74 tackles (47-27) making him the team's third best defensive leader . . . Team-high four interceptions, one each vs. Virginia, Colorado, ASU, USC . . . Career-high 11 tackles at Cal, eight of those being a career-high for solo tackles, and 36 all-purpose yards vs. Colorado . . . One of two freshmen on the FBS team to rank first and second in tackles, along with Troy Dye . . . Ranked in the nation's top ten list of true freshmen in tackles . . . One of six true freshmen that saw action in the season opener against UC Davis . . . Stood out in game nine against USC where he intercepted his fourth pass of the year, tying the Pac-12 lead . . . Led the team with nine tackles vs. Washington State and had the second highest tackles against Cal with 11. 2017 — Recorded first-ever catch at UO against Cal in first career start ... Finished the game with two catches for 20 yards 2016 – Saw action in two games including game six vs. Washington State recording one unassisted tackle. 2015 — The walk-on redshirted his first year at Oregon to help gain a better grasp of game after playing only one season at the high school level. 2017 — Played in front of Oregon fans for the first time and recorded the second most receiving yards on his team and sixth most all-purpose yards overall with four receptions for 54 yards and one kickoff return for 20 yards. BEFORE OREGON — The 49th-highest ranked athlete in the country and 96th overall recruit in the state of Florida by ESPN ... The 67th-ranked athlete and 138th overall prospect by 247Sports.com ... Rated the 31st best wide receiver in Florida by Scout.com ... A consensus three-star recruit ... Caught 29 passes for 299 yards and three touchdowns while rushing for another to help lead Armwood to a Florida 6A state tournament regional semifinal appearance as a senior ... Named second-team 6A all-state as a quarterback his junior year ... Also selected first-team All-Western Conference ... Threw for 1,697 yards and 15 touchdowns with just four interceptions while leading Armwood to a 6A state runner-up finish ... Also ran for 1,238 yards and 21 touchdowns on 163 carries, averaging 7.6 yards per rush ... Threw for 228 yards and one touchdown while rushing for 146 yards and three scores in a regional final win over Gainesville ... As a sophomore, caught 28 passes for 357 yards and one touchdown while rushing for three more to help lead the Hawks to a 6A state runner-up finish ... Also received offers from Arizona, Boston College, Colorado State, Georgia Tech, Iowa State, Louisville, Marshall, Oregon State, Pittsburgh, Rutgers, South Alabama, South Florida, Southern Miss, Syracuse, Tennessee, UCF and Virginia Tech. 2016 — Saw action in five games during the season . . . First career start in game three vs. Nebraska . . . Credited five unassisted and 4 assisted tackles during the season with 1.5 tackles for loss for 13 yards. 2015 — Redshirted his freshman season in order to provide more time for his body to mature ... Named as the defense's Scout Team Player of the Year following his initial collegiate campaign ... Credited with one tackle for loss among his four stops (two unassisted) in the 2016 Spring Game. 2016 — Participated in 11 games this season, only missing game three against Nebraska . . . Recorded 11 unassisted tackles and four assisted during the season . . . Career-best four (3-1) tackles against Oregon State . . . Career-best one pass breakup against USC. 2015 — Persistence paid off as the third-year sophomore made his collegiate debut off the bench in the season-opening win over Eastern Washington ... Also stepped onto the field against Georgia State (8 plays), Utah, Washington State and TCU ... Initiated a change to the defensive front prior to the start of the 2016 spring in order to enhance his chances of making a larger on-field contribution ... Credited with a tackle-for-loss among his three solo tackles in the 2016 Spring Game. 2014 — Injuries have become his biggest deterrent from stepping onto the field his first two years despite possessing the physical tools needed to compete at the collegiate level. 2016 — Oregon’s Most Outstanding Defensive Lineman recipient (Joe Schaffeld Trophy) started all 12 games at defensive end in program’s revamped 4-3 defense, ranking second among team’s down linemen in snaps (802) . . . Added 35 (12-23) tackles to his previous career total to bring three-year tally to 66 . . . Posted team-best four quarterback hurries as well as one quarterback sack for 10 yards (vs. UC Davis) and one blocked PAT (vs Colorado) . . . . Made his mark during the season opener against UCD, recording five tackles, one tackle for loss, and two quarterback hurries . . . Also added five stops on three separate occasions, including the combination that resulted in three unassisted tackles at California while logging a season-best 88 snaps in Berkeley . . . Accumulated a season-best two tackles for loss against Washington. 2017 — Recorded first career tackle at Wyoming ... Assisted on one tackle-for-loss against the Cowboys. BEFORE OREGON — The 12th-ranked kicker in the country and 13th overall recruit in the state of Hawaii by 247Sports.com … Ranked eighth in the state and 17th at his position by ESPN … Ranked the ninth-best kicker and fourth-best punter in the nation by ChrisSailerKicking.com … An ESPN, Scout.com and 247Sports.com three-star recruit … Invited to play in the 2017 U.S. Army All-American Bowl … Named one of the top 100 recruits on the West Coast by the Tacoma News Tribune ... Named first-team all-state as a punter by the Honolulu Star-Advertiser as a senior … Also selected first-team All-Hawaii by ScoringLive.com as a punter … Made three field goals while going 11-for-11 on extra points … Earned first-team All-Hawaii honors as a kicker following junior season … Named third-team all-state by the Honolulu Star-Advertiser … Selected to participate in Chris Sailer Kicking’s Top 12 and Event Elite kicking camps in 2016 … Also received offers from Army, Miami, Oregon State and Wisconsin. 2016 — Saw action in eight games of the season . . . Recorded 31 (21-10) tackles during the season with four tackles for loss for 20 yards . . . Career-high seven (5-2) tackles against Cal . . . Career-best six solo tackles vs. Virginia where he stood out recording two of the six sacks of the game becoming a season high for the Ducks . . . Recorded one interception in the season opener against UC Davis. 2015 — Began to make a greater impact as the season wore on, accumulating six of his nine tackles in his final three appearances of his redshirt freshman year ... Taking part in 11 games, he posted season-highs of three takedowns in the win over USC and against TCU in the Alamo Bowl ... Included among his totals were a pair of tackles-for-loss vs. the Trojans for 17 yards and one for a 7-yard loss while facing Washington State ... Also forced a fumble against the Cougars in addition to being credited with a quarterback hurry in the post season and breaking up one pass at Colorado ... Participated in a season-high 34 snaps in his collegiate debut vs. Eastern Washington. 2014 — Spent the season mastering the playbook and enhancing his game as a redshirt ... Recorded five tackles, including 0.5 tackles for loss, in the 2015 Spring Game. 2017 — Recorded three solo tackles during the Spring Game. 2015 — Assisted on three tackles and had a pass breakup against Eastern Washington in his collegiate debut, stepping onto the field in three of the Ducks' first four games ... Credited with six snaps in his lone Pac-12 appearance against Utah ... Continued to work in the weight room to add the bulk needed to hold his own along the interior defensive line. 2014 — The walk-on benefitted from the opportunity to sharpen his skills as a scout teams contributor, preserving four years of eligibility while the extent of his playing time took place in practice ... Tied for second on the team in tackles (5) in the 2015 Spring Game. Fotu T. Leiato II Jr.